From cutting-edge technologies to new marketing initiatives and changing consumer preferences, 2019 will be an interesting and exciting year for the food and beverage sector. Food and beverage businesses have many opportunities to leverage in 2019 as long as they stay ahead of the emerging trends. While some trends are new, others have evolved over the years and have an immense effect on the food and beverage industry. 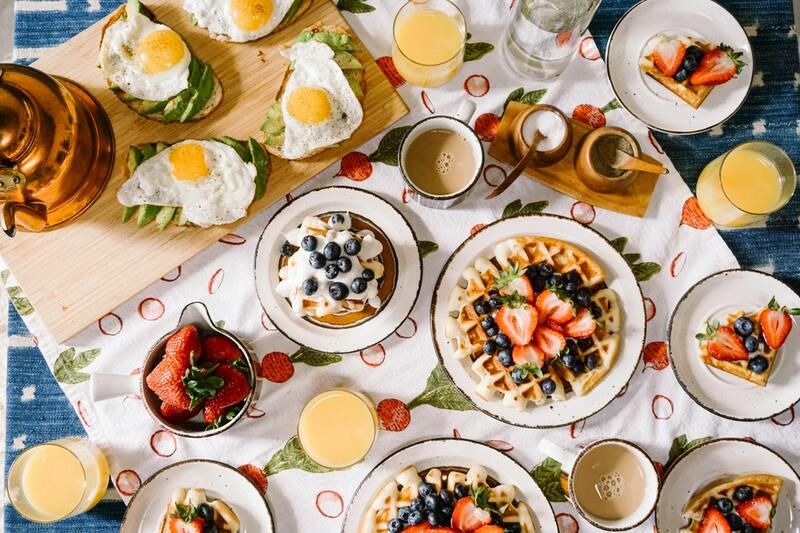 Below are the top 7 food and beverage trends to look forward to in 2019. Consumers are more adventures now than ever before. They are willing to explore enormous flavours and experiences relating to food. Many people want to try out new recipes and cuisines. Foods that were initially peculiar are now mainstream and highly sought after as consumers seek unique and culturally relevant culinary experiences. Food manufacturers aiming to make it in 2019 will have to target the adventurous consumers and develop menus to delight them. A trend towards healthy foods has emerged in the last few years. Consumers are diverting towards healthy foods that contain natural ingredients and numerous health benefits. They are shunning foods with sweeteners, GMOs, high calories, and artificial dyes. With the ever-increasing number of food products for sale in numerous channels from social media to in-store and farmers markets, food and beverage companies are embracing product differentiation and technology to earn a competitive advantage. They are using different tactics to differentiate themselves from others. These tactics include; unique packaging, digitally powered business models, and employing trending flavours. Technological innovations will shake the food and beverage segment in 2019. From robotics to big data and blockchain, food tech will enter the mainstream to propel the industry into higher profitability. With traditional marketing strategies becoming outdated and flawed each day, the food and beverage industry is soliciting for new effective marketing initiatives. Brand marketing has proved to be fruitful in stressing the strengths of a company and its products. Food companies must embrace brand marketing to attract customers and convert them into brand loyalists. Companies that want to flourish in 2019 must use brand marketing to increase the visibility of their products and services in the market. Mindshape helps you create brand-marketing programs to draw more customers to your business and increase sales. There’s a growing trend in food safety in the last couple of years. The consumers’ trust of the food and beverage industry is diminishing each day as food scandals exacerbate. Also, consumers demand more transparency in the supply chain and insist on knowing more about the food they eat. Food producers, retailers, and caterers are increasingly obliged to deliver high-quality foods at competitive prices. The food and beverage industry has a duty of improving food safety in 2019 to earn consumers’ trust. In 2019, mergers and acquisitions will be a leading trend. Food and beverage enterprises are lucrative investment opportunities for large brands and private equity. At the same time, many businesses will look upon large brands to help them acquire new customers, invest in research and development, and add new product lines. Some firms will undertake acquisitions to increase their market share and attain a competitive advantage. More consumers expect food and beverage companies to engage in corporate sustainability programs. They want sustainable food and drink economy marked by improved access to recycling and the manufacture of foods with natural ingredients. A preference of eco-friendly packaging and fair-trade ingredients is growing gradually among consumers. Numerous trends are projected to shake up the food and beverage sector in 2019. Recognizing these trends will help businesses get most consumers and plan accordingly. Mindshape helps you develop digital and creative marketing programs to take advantage of the 2019 trends in food and beverage, and build a solid brand.